Carpenter Ants, Termites, and Powder Post Beetles are all examples of wood destroying insects that can significantly damage wooden structures. I am certified by New York State of Environmental Conservation through training and examination for the identification and understanding the conditions these pests prefer. 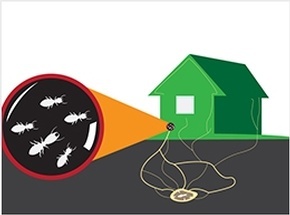 Protect your investment by determining if your home is at risk with a comprehensive pest inspection during your home inspection. Certified Home Inspectors at Right Way Home Inspection Services LLC offers Wood Destroying Insect Inspection and other home inspection services to clients across Wynantskill, Albany, Saratoga, Rensselaer, Schenectady, Columbia, Washington, Troy.